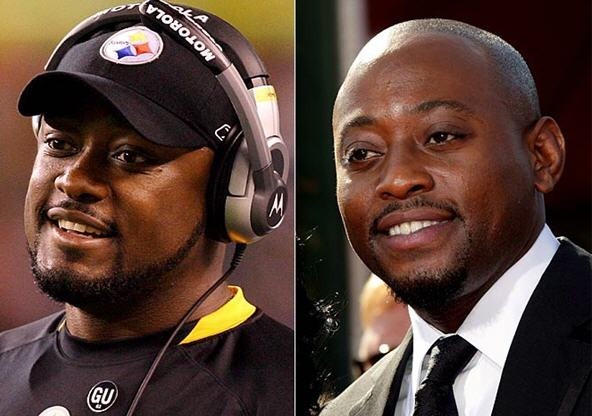 The Steeler Twins head to the Superbowl! How have these twins contributed to fashion you ask??? Mike has introduced a new colorway to our wardrobes (you know what it is): “Black and Yellow, Black and Yellow”. And Omar has shown us that comfort is a new trend – from ‘House’ scrubs to b-ball shorts, it’s all about having an outfit that’s mobile! Either way these two young men are truly penetrating their industries! Keep on winning SuperBowls Mike and we certainly know who’s playing YOU on the big screen!